Design analytics apps for the way you work. Business moves instantly — so why are you still designing analytics apps and dashboards for business intelligence solutions that take weeks or months to provide useful answers? Our latest white paper explains a new method for building solutions that are more integrated, streamlined, and user-friendly. Download “Rethinking Analytics App Design with the Think Einstein Framework: Best Practices to Design Analytics Apps,” and find out how to bring data-driven decision-making to your entire company. Sign up to access this and other assets from our library. Business moves instantly — so why are you still designing analytics apps and dashboards for business intelligence solutions that take weeks or months to provide useful answers? Out latest white paper explains a new method for building solutions that are more integrated, streamlined, and user-friendly. 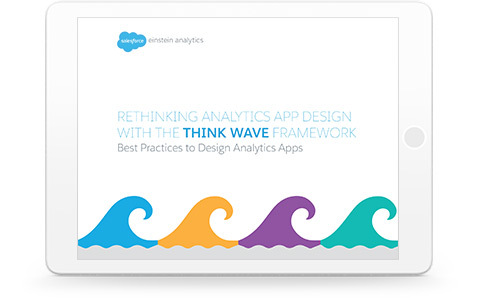 Download “Rethinking Analytics App Design with the Think Wave Framework: Best Practices to Design Analytics Apps,” and find out how to bring data-driven decision-making to your entire company.